Your building solution for kitchen and bathroom cabinets and countertops. Cabinetry is traditionally a finish product that can sway homebuyers on purchase decisions. It is also traditionally one of the most difficult parts of a build to get installed correctly and on time. Parks has developed an innovative 3 step process that simplifies new construction installation to help builders avoid pitfalls of the past and close on their projects faster. Cabinet installs from Parks allow builders to focus on what they do best, complete projects, and not have to focus on cabinet repairs. Parks’ craftsmen skillfully install custom cabinetry and granite, cultured and marble countertops. Builders are encouraged to tour the Parks Building Supply and Interiors showroom for the chance to see firsthand the many cabinet and countertop options and quality installation that can only be found at Parks Building Supply and Interiors. 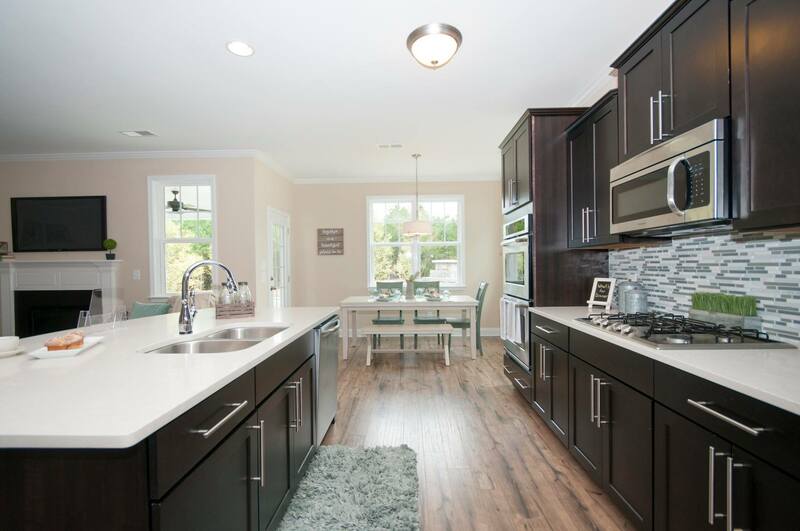 Call Parks Building Supply and Interiors today at 910.483.8194 to learn more about cabinets and countertops and how Parks Building Supply and Interiors is the solution you have been looking for. Custom Team for each builder. Up front clarity. Design, pricing, timeline. Proper preparation prevents poor performance. Quality control from the first screw to the last touch-up. Buying power through our association with LMC gives Parks $1 billion purchasing power. Parks has hand selected domestic and import manufacturers to be able to serve each builder’s needs.